I never take for granted or regret our many mother/daughter adventures, even if some of our escapades didn’t reap the results we expected. I believe God feels the same way about spending time with us. 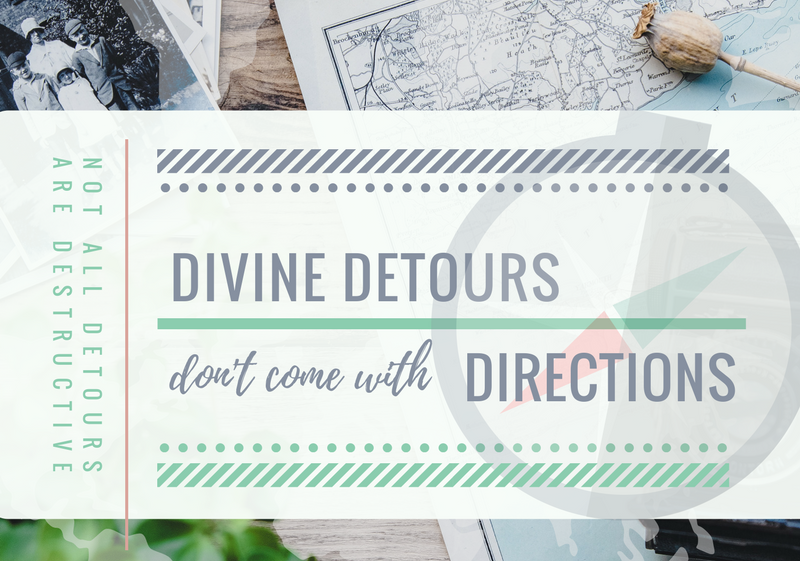 He doesn’t want us to be far from Him and never regrets being in relationship with us – even when the adventure we’re on gives us all a run for our money. God would rather be with us than watch us go it alone. One particular adventure-gone-awry comes to mind. My daughter and her fiancé were in search of a wedding venue. Since he was stationed in a new position with his company in Las Vegas, she and I were on the hunt for a great location for their celebration in New York. In the hopes of staying within the desired budget, we considered hosting the affair upstate, where we were sure we’d get a little more bang for our buck. Besides, the autumn foliage in the mountains would be an outrageous backdrop, free of charge; which after doing some homework might have been the only thing we wouldn’t have to pay for. In an effort to maximize our search, we planned to hit several venues in the two-day trip, beginning with BK Venues in Brooklyn, even though we had our hearts set on a place three hours north of the city near the Catskill Mountains. The country venue boasted a picturesque barn overlooking a vineyard. The web page included a photo of a bride and groom in front of big barn doors with wooden plank floors. We scoped out the area and reserved a hotel near to the venue to ensure that our guests would have adequate overnight accommodations should we decide to book the venue. After a great night’s sleep, we met the party coordinator, Emily, at the main banquet hall. The wedding-barn was an off-site amenity. Our skepticism grew once we entered the main catering hall. We remained hopeful; after all, we saw pictures of the barn! We followed Emily down a dusty residential lane. To our utter chagrin, there stood a cowshed. “The actual barn must be set back from the road,” I suggested to my daughter. But alas, as I got closer, the cowshed bore a striking resemblance to the barn in the advertisement… minus the special lens they used to make it look good. It was truly a place that stored hay. Bypassing our inclination to make a swift U-turn and getaway, we parked our car on the dirt driveway that could only accommodate a handful of cars. The tour of the barn took all of five minutes. The vineyard, situated on the half-acre lot, was no bigger than my neighbor's vegetable garden. But the biggest surprise of all was the outhouse, which they failed to mention on their website, was the only facility to accommodate over 100 guests. The property manager had hoped to add a bathroom by the following fall. What they didn’t fail to exclude was the photo of the bride in her gown entering the outhouse. Turns out, we were also misled about the freebies. The barn came with a site fee, but the spiders in webs and critters of all sorts came free of charge. The buck we thought we were saving was not money, but rather a deer ornately displayed on a plaque above the sweetheart table – unfortunately beyond saving. We hightailed it out of the one-cow town and my initial reaction was to kick myself for not being savvier. But as soon as we sped off, a spirit of laughter came over us and we laughed all the way back to the highway. We hit a few more unique, prospective locations on our route home, but discovered that campgrounds and state park destinations come with more variables than we were willing to concede to. The raccoon nesting in the park lodge’s vine-covered fireplace was the final deterrent and determining factor that the country was not for us. I suppose God could have spared us the expense and the hassle of that trip. It certainly would’ve been within His power. But He promised never to leave us or forsake us… not necessarily spare us. When we received a call back from BK Venues on our way back through the city, we decided to take a second look at the rooftop loft in Williamsburg, Brooklyn, overlooking the Hudson River and Manhattan skyline. The furthest thing from New York’s East Greenbush “rustic” barn wedding never looked more appealing. Since my daughter and her fiancé met in the city and attended school there, it seemed only fitting that they would celebrate their wedding there as well. The ultimate takeaway from the potential nuptial nightmare was the time I got to spend with my daughter. We made memories that will not be forgotten anytime soon, and God came through with the perfect venue we might not have considered before. I was and am thankful every time I invite Him to take part in our lives. He never disappoints, and even when I can’t seem to pinpoint why He allows certain experiences, I know that He is for us. Good or bad, I’d rather be in the company of my children then without them, and I truly believe God shares my sentiment.